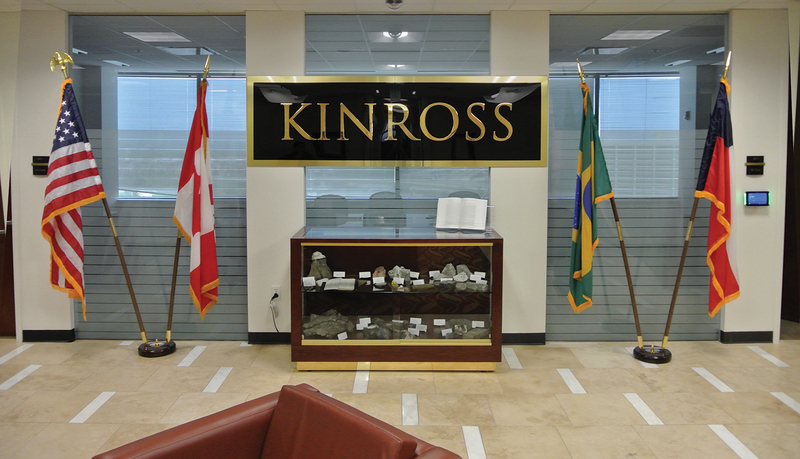 Kinross, one of the largest gold manufacturers in the world, moved their US operation from Nevada to the Denver Tech Center in the Re/Max World HQ. 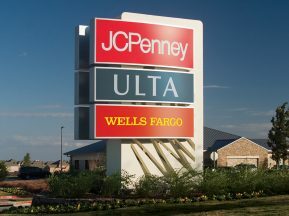 The move to a new corporate office created some significant timing issues as all signs had to be implemented prior to a corporate quarterly meeting, missing the deadline was not an option. In addition to the timing constraints the client stipulated three key objectives for the redesign of their new corporate office. 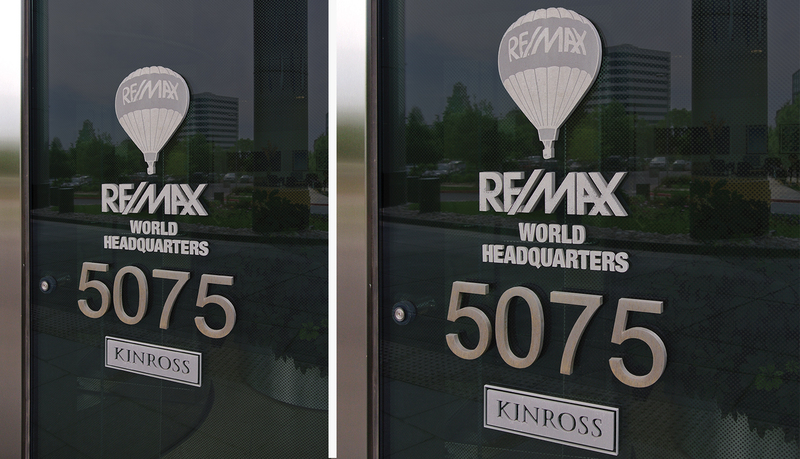 First they needed key branding elements in the lobby as the corporate office would be situated on a single floor and they required some quality branding and visibility as one walked into the building. 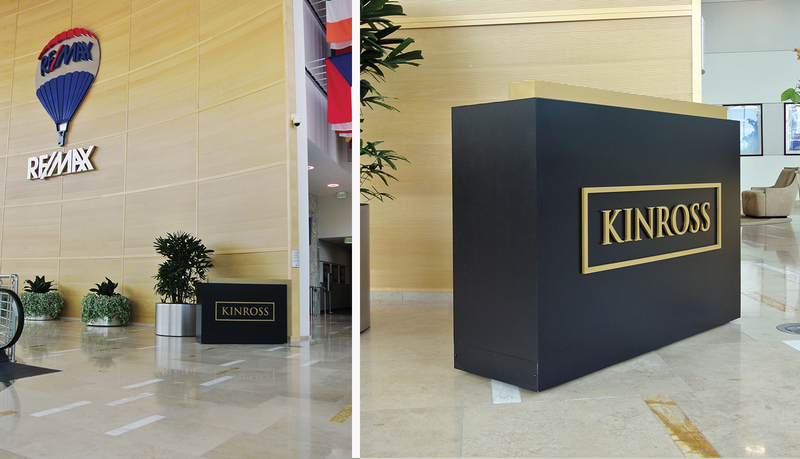 Second the lobby area needed to reflect the brand imagery and also highlight their numerous geographical locations. 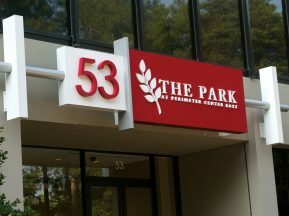 Third they required an interior sign program that enhanced the brand image. 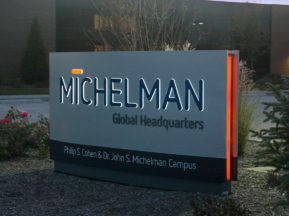 ASI started with LPS logo mounted on the exterior glass at the entryway, and then incorporated a monument sign within the interior lobby. The monument needed to be mobile for when there was large Re/Max events and Kinross could strategically place the monument when they had events. 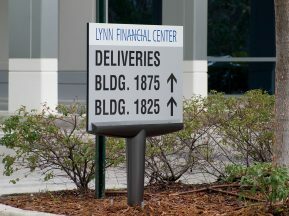 ImageFirst made a small monument sign with a hidden panel on the side to access lockable casters. The next step was dressing up their lobby. Gallery-quality prints on photograph paper were mounted to the wall. Since the wall was freestanding it was not square or level, so installation took some serious planning and skill. 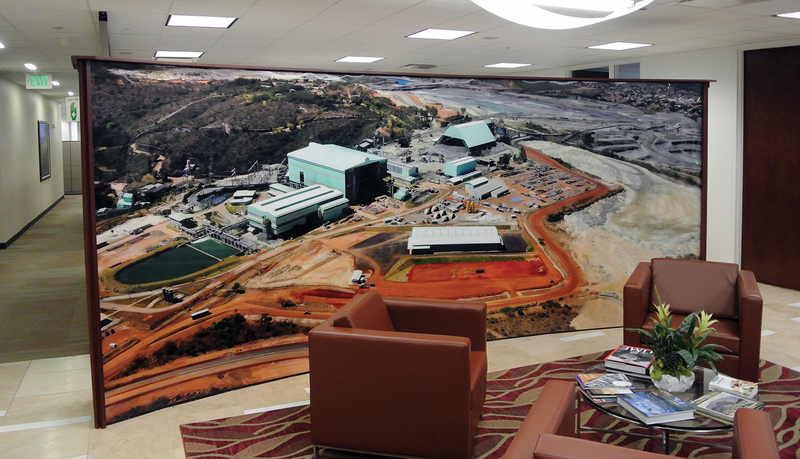 ASI helped Kinross choose the images off their large library from sites across the world, and selected one from North America, and one from South America on the north and south walls accordingly. 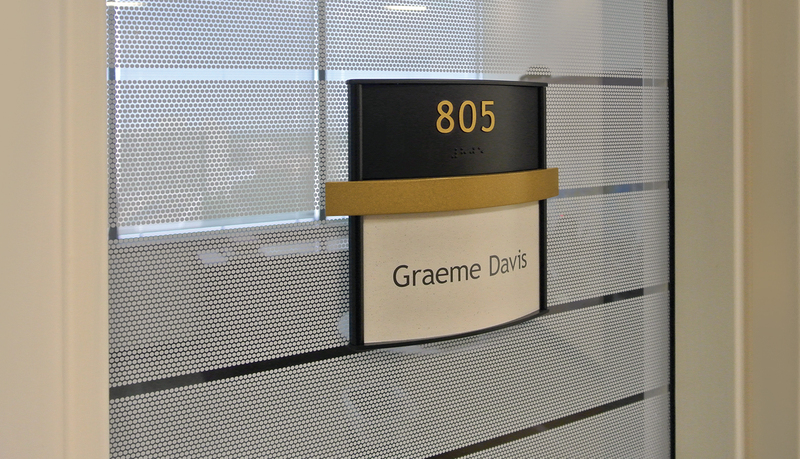 Lastly, ASI developed an interior signage program incorporating the Horizon signage system with a “gold bar” accent to represent their company color. 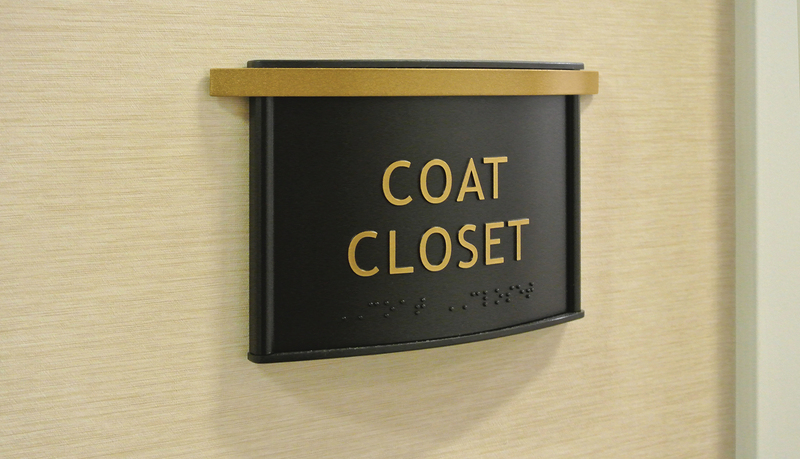 Included were room IDs, utility rooms, office, restroom, and stairs. 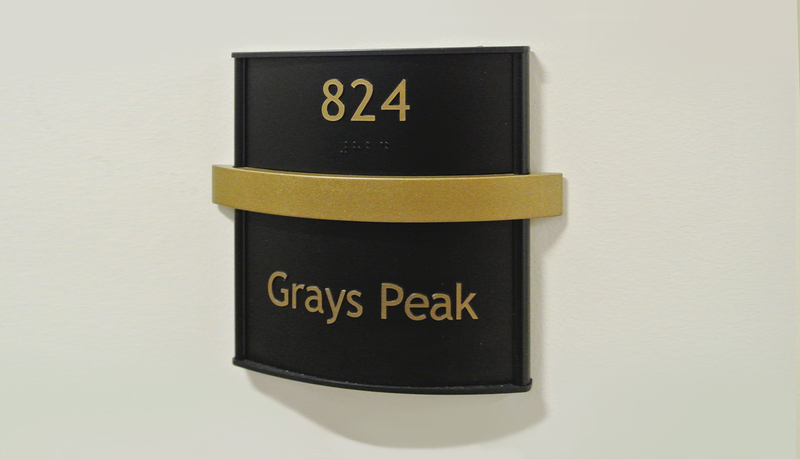 All office and cubicle signs included a changeable paper insert.